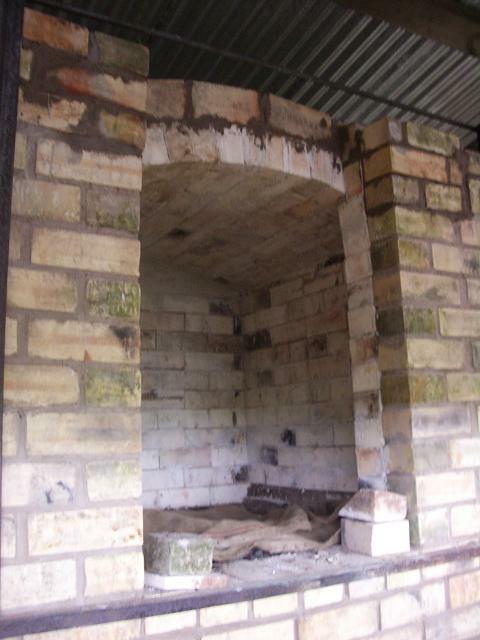 Well what I mean is we took the former out this morning and the roof stayed up, I was a bit surprised, I hadn’t been convinced my slightly bodged out of many bits of bricks arch would be up to it but when I left at half 6 tonight it was still there. Got a thick layer of vermiculite and clay slop to put on the top of there tomorrow. 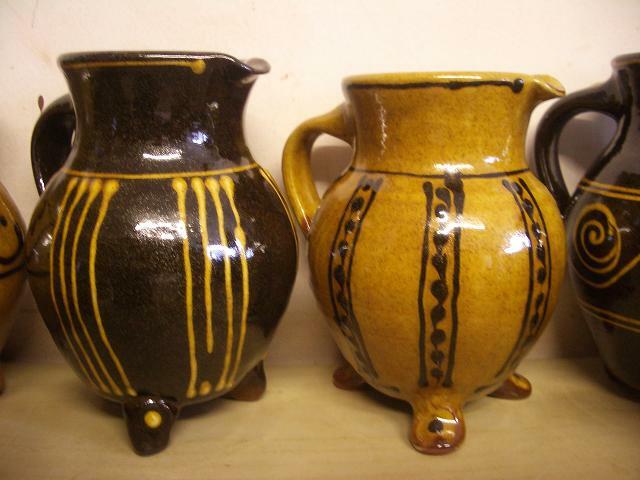 I had some new pots out yesterday, I like these footed jugs, I don’t think I’ve sold any yet but they do amuse me, I think I make a lot of things like that. 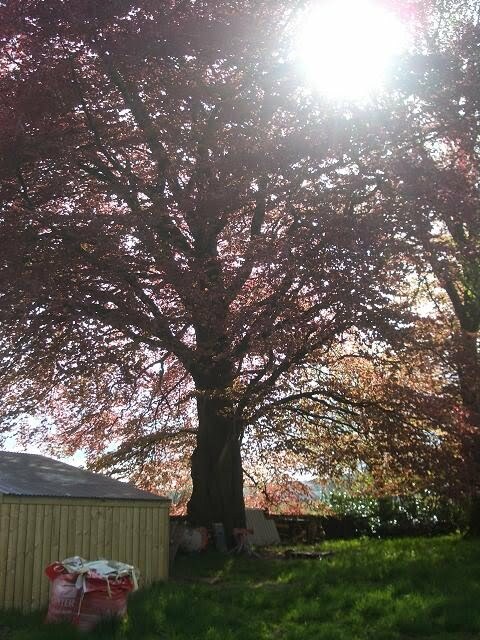 The copper beech behind the kiln which I hope stays just where it is for many years to come. It’s lovely though. New Humbug mugs ready to go. 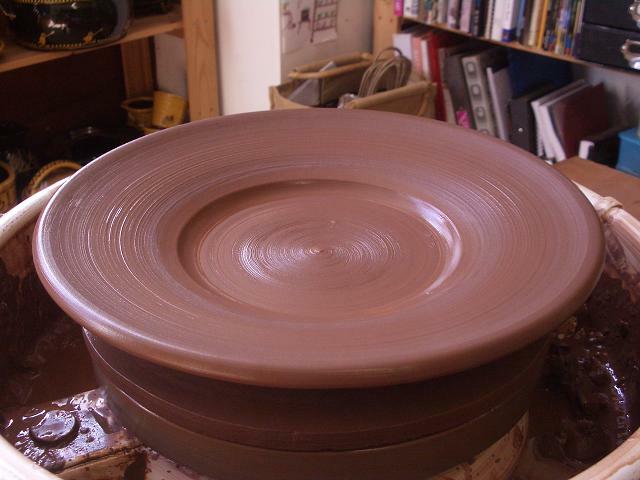 I managed to get some throwing done yesterday – eventually. 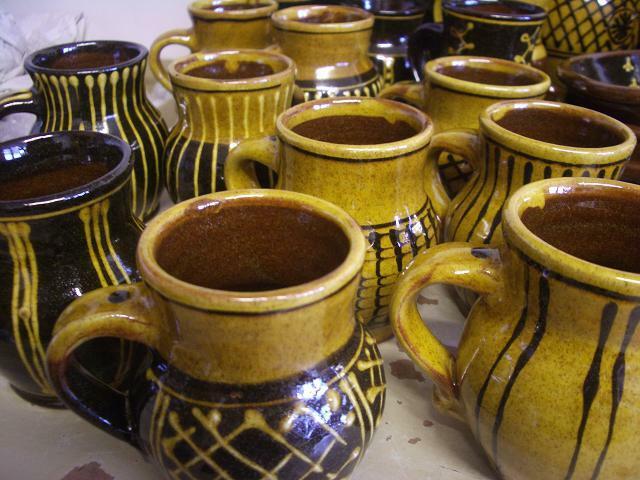 I’d started in the morning trying to throw 3lb jugs but they just weren’t for happening at all at all. They clay was soft soft soft and didn’t like being made to belly at all. Anyway after it had sat drying on my plaster bat while I had a good natter on the phone it was much happier, must have been else I don’t think I could have made these wide rimmed plates with it. I’m looking forward to slipping these. Jugs finished and sitting fat and happy. I think I can say now as he’s done a good job of announcing it to the world now that my friend Adam Booth up the road here, artist blacksmith with no small reputation, won the Craft&Design Selected Gold Award for Metal and Wood. Congratulations Adam! 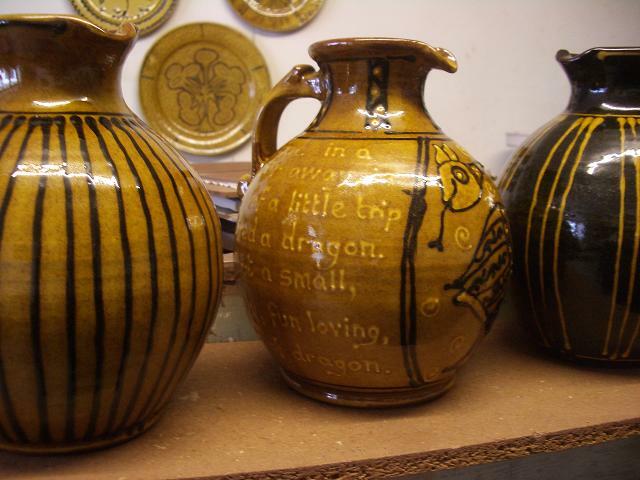 This entry was posted in dragon, fat jugs, kiln building, sprung arch, wide rimmed plates. Bookmark the permalink. 5 Responses to Look no hands! Gotta get that thing fired up, Hannah. It's always exciting to pull an arch form and see that lovely shape suspended in thin air. Well done! looks good- looking forward to the next step!